The holiday seasons means a flurry of activities and family time. 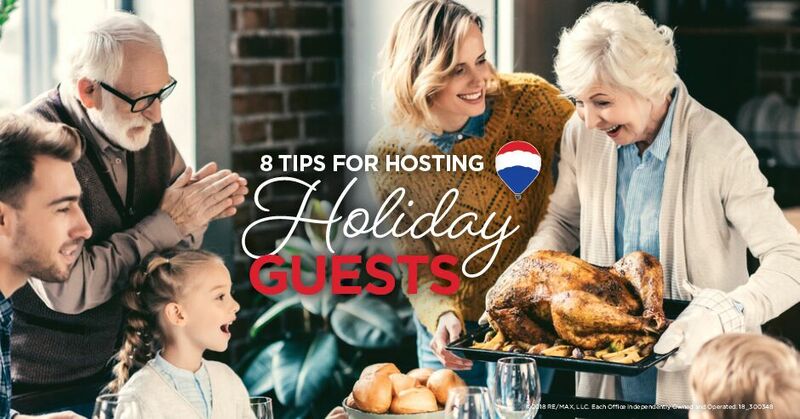 Here are some easy ways to make sure you and your overnight guests are comfortable through it all. Have your pets been sneaking a nap on the couch when you’re not looking? Make sure to de-fur the furniture before anyone sits or sleeps on it. 2. Pile the kids into one room. They’ll love feeling like they’re at a sleepover. 3. Set out phone chargers. It’s one of the easiest things for travelers to forget to pack. Have your old chargers on hand, and you may save a guest a trip to the store. 4. Make the Wi-Fi password readily accessible. An easy way to do this is to print out the information on a notecard for each guest room. 5. Designate a snack and beverage hub. To avoid people tripping over each other at the fridge and during crucial food-prep times, set up a station away from the kitchen where guests can grab coffee and snack at their leisure. Make sure all the bathroom essentials on-hand, including towels and washcloths, common toiletries, toilet paper, and, of course, a toilet brush and plunger. No one wants to announce they need a plunger! 7. Let them pitch in. Most guests want to help out somehow. Have everyone pick a task to be responsible for, like walking the dogs, taking out the trash, making breakfast or doing the dinner dishes. 8. Relax and enjoy yourself! Set the tone for your guests. Do your best to look past the chaos and make the most of the time with family and friends. An extra bedroom, closet or bathroom can go a long way around the holidays. Is it time you had more space? I know of a few agents who can help you find the right place for you.